This trunk was designed for Mohegan Sun Casino. The case has exterior dimensions of 30" x 30" x 24" to allow it to be packed 3 wide in any configuration in a 90" truck. 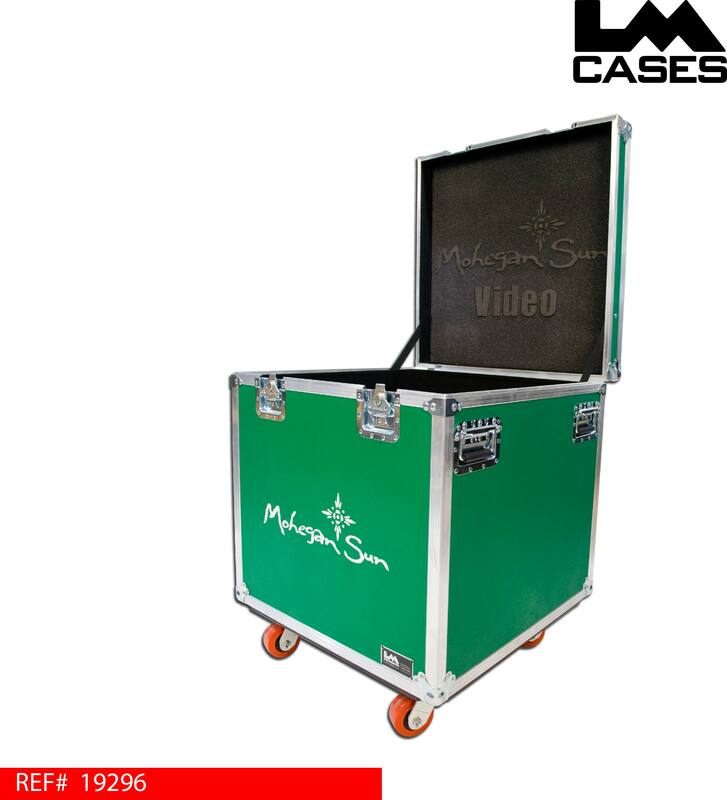 The interior of the case features custom inlaid foam that had the Mohegan Sun logo as well as "Video" for the video department at the casino. 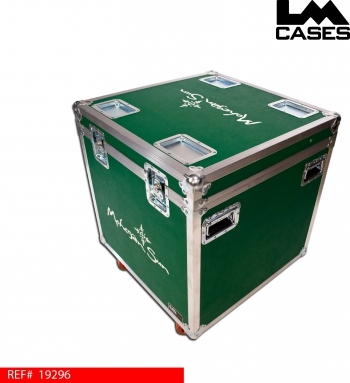 The exterior is built out of 3/8" plywood laminated with green abs laminate, the case also features the Mohegan Sun silkscreen, 4" x 2" HD casters, and stacking caster wells in the case lid.